Our Vaccination Clinics provide Affordable, Quality veterinary care in a convenient and nearby setting. CHECK OUT THIS WEEKEND'S MOBILE VACCINATION LOCATIONS! SKIP THE LINE AND BOOK ONLINE! Find a Mobile Vaccination Clinic Near You Now! 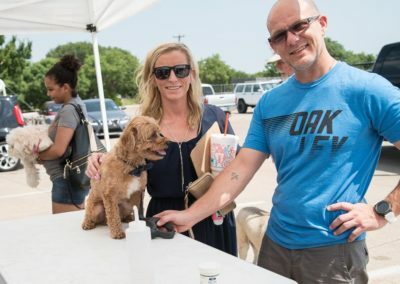 Penny Paws Conducts weekend mobile clinics we call veterinary community outreach programs, that serve townships throughout Abilene, Texas. ANNUAL PACKAGE + LEPTO - BEST CHOICE! Distemper/Parvo (DHLPP), Rabies, Kennel Cough (Bordetella), Heartworm test. Distemper/Parvo (DHPPv), Rabies, Kennel Cough (Bordetella), Heartworm test. We highly recommend the Annual package for all dogs, especially newly adopted or the cherished family pet. The puppy package is recommended for pups 6 weeks and older. Young puppies are vaccinated 3 times. The first vaccination needs to occur as early as 6 weeks but no later than 8 weeks. Booster vaccines are then administered twice in 1 month intervals. They can receive their rabies shot when they are at least 12 weeks. ANNUAL PACKAGE - BEST CHOICE! We highly recommend the Annual package to all cats, especially newly adopted pets and the outdoor cat.